In our conversations, you seem to possess a rather artistic view of story creation. 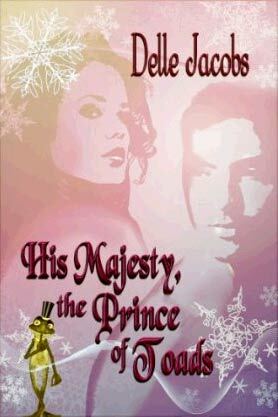 Can you tell us about the writing process for His Majesty, The Prince of Toads? Thanks so much for inviting me to join you, Susanna! I’m looking forward to this group. I’ve never thought of bludgeoning one’s Muse as artistic, but it does work. Really, I think creation is as more of a process than an inspiration. The more you do it, the more the insights flow. Every time I start a new story, I set for myself a challenge, something to do I’ve never tried before. In HIS MAJESTY, THE PRINCE OF TOADS, I wanted to write the evolution of a Toad into a Handsome Prince, the man who believes in all sincerity that he is right and has the heroine’s best interests at heart, but in fact has a lot of changing to do before he’s worth her love. But writing such a fellow without making him such a book-hurling jerk is a huge challenge. Lucas is much like the ordinary privileged man of his time, but he has the advantage of being able to admit he’s wrong. And that is his saving grace. Showing his potential encased in his flaws was really interesting work. What I love about your books is how you take a cliché situation and alter it until it becomes something new and wonderful. What is your mental process when you create scenes and characters? How many drafts do you typically make of a scene? When do you know you have it right? The Regency Period is so narrowly confined in time and place, even in class structure, that there’s really nothing that hasn’t already been covered. Finding the new twist, I think, is in the characters. I’ll think of a new way of turning an old plot, but then I have to think who would be the people who got themselves into such a tangle. My Toad, Lucas, comes from a really crazy family with lots of family secrets, but he almost doesn’t realize how abnormal it is. His solution as a very young man was escape into drunken escapades, and finally running away to war. For me, no other hero would have fit. Sometimes it’s just voices or actions when I start- just that sketchy. But setting influences how interactions come out. I use physical settings in symbolic ways, like the missing staircase in Lucas’s family home. He had built his memories around those stairs, and when he found it torn out, it was like the heart was gone from the place. He had to work around what was missing, just as he’d done all his life. But I didn’t know that when I wrote it. In fact, I just realized it. That might tell you just how organic I feel the setting elements are in my stories. You were employed for years as a social worker. Do your experiences in that job transfer into situations and characters in your writing? Social work and counseling taught me a lot about people. Nobody comes to a counselor if they don’t have troubles, and the core for treatment for me was always very practical: Problem Solving Therapy. It has other more modern names but I always like the one that says what it does: it teaches people how to identify and solve problems. People haven’t really changed over the centuies, but they didn’t know about psychiatry, or speak in psychiatric terms in the early Nineteenth Century. They didn’t analyze each other, or blame their over-doting mothers for smothering them emotionally. But strong people are the same as strong characters, and those who have problems and can find the ability to seek out solutions are the ones I most admire. The people I served taught me more than I ever could have imagined about the human spirit. You won the Golden Heart, the highest accolade for an unpublished romance writer, three times. Yet your books received an interesting reception in the NY publishing world. Can you tell us a little bit about what happened in those years? Remember, most of those years were the ones when the historical romance was considered either dying or dead. 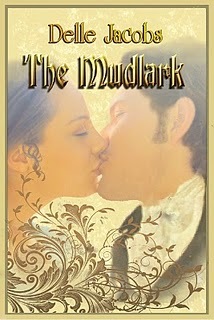 In 2006, I won the very last Regency Category Golden Heart, and this after the last two surviving lines of the Traditional Regency had finally closed down. I had taken a historical and cut it down to Regency length to try to assure the category of having enough entries, certain it wouldn’t win. It did, but then had to re-construct it once again. That is LADY WICKED, which is finally coming out next February. It is a very good example of the story that just won’t sell in tough times, when the publishers only want the ‟tried and true”. No glitz and flash in that story- both hero and heroine are past that. They’re both outcasts- she through no fault of her own, and he- well, he earned his way out the doors of the Ton. She has a hidden backstory of domestic violence that still threatens her. She makes some people uncomfortable because she’s deeply wounded and withdrawn from a rejecting society. Only Lord Savoury sees the truth of a damaged but indomitable spirit, a woman who will beat the odds and make her way in a world determined not to give her a chance. 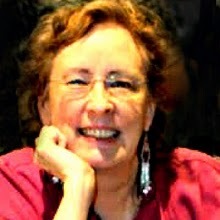 You were one of the first romance authors to embrace online publishing and receive acclaim. What was your rationale when you first started ePublishing? Part of it was that very poor market for historicals. But I was intrigued by a very different path for publishing. I did know how few books I would sell, and I did guess it would be a good ten years before everything pulled together for ebooks to become an important force. I was shocked by some of the nastiness toward ebook authors over the last ten years and I really had no idea I would be so vilified as a writer. Unfortunately, I’m not good at backing down or running away. So I’m still here. Still loving writing. Recently, you’ve had a very interesting career turn. Can you tell us about hitting the top of the Amazon charts? How has it affected your other publications? It was a complete surprise to me. I knew about Kindle’s Free Reads, but thought those books were chosen from major ebook publishers. I had recently re-issued my backlist myself, with very good results. Then suddenly my sales numbers zoomed. I was at a conference and was so shocked I had to find my roommates to tell me it was really true. The upshot: five days on Free Reads netted 20,000 downloads for those two and quadrupled an entire month’s sales for the others. Since then, I’ve had books at the top of almost all of Amazon and Kindle’s Best Seller lists, including a third, not free, book, HIS MAJESTY, THE PRINCE OF TOADS. List numbers do drop, of course, but sales are continuing at a fairly brisk pace. And it doesn’t hurt my feelings that Kindle is actually going to pay me full royalties for nearly 24,000 books. For ebooks, visibility is everything, and an opportunity like the Free Reads is promo no money can buy. But I’m immensely proud of my books, of the great reviews and numbers they’ve gained once the Free Read slot closed for them. Now to get the fifth book up, before people forget me! You design amazing book covers. You seem to get inspiration from the visual. When you create a cover, does a story rise from the image? Or do you create the image from a story in your head? It can go either way. Sometimes, I’m just playing with an idea, and suddenly it all comes together, complete with new title. 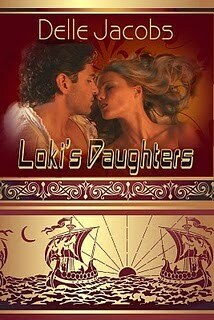 The sequel to my SIREN historical sea fantasy came to me this way recently. I was just playing with a Jimmy Thomas portrait (every author/artist should play with Jimmy Thomas, really), with a beautiful fanlike graphic piece in golden colors, but it just wasn’t working. Then when I shifted the gold colors to deep blues, it just hit. INDIGO OF THE OCEANS. What a weird title. A few more additions, and then the first sentence for the book hit me: ‟He was called Indigo for the color of his eyes- ” And now I’m writing his story. Is there a question I should I have asked but didn’t? I’m just glad you didn’t ask the standard questions. You’ve really made me think. And thanks again for the invite. 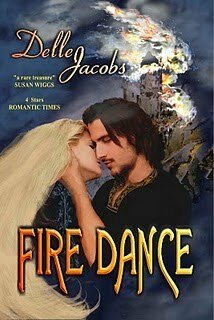 You can learn more about Delle Jacob’s books and covers by visiting her lovely website: http://www.dellejacobs.com/. Ask Delle a question or leave a comment below! >I love your Regencies, Delle. You do find those interesting little twists in the road. >Interesting interview! And so nice to get to know Delle better after my many weeks of stalking her on Facebook! ;-)I love your thought process regarding plot twists. Write the unexpected. Love that. Very intriguing too about the free Kindle reads. Nice to get to know you, Delle! >This is a great interview! It gives such good insight into both the creative and the business side of Delle's success. Her characters sound fascinating and I'm so happy they're getting the recognition they deserve. >I love interviews that ask surprising questions — thanks for this one! Not only did it make me want to run out and get a book, it inspired me as a writer. Yay for the road less traveled by — sometimes it leads to 24,000 downloads on Amazon. The Stories I Teach and Why I Teach Them: #1 "A Good Man Is Hard To FInd"